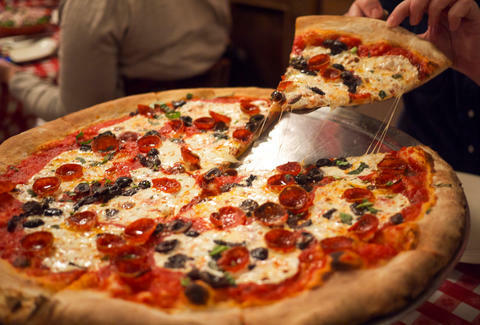 American-made pizza has a rich and storied history. Hopefully that history doesn't extend past a work-week if you're pulling it out of the fridge, but when it comes to piping-hot pizzeria pies, it's best if the oven has some stories to tell. So in pursuit of the crankiest, most grandfatherly pizza ovens in existence, we've compiled a list of the 10 oldest pizza joints in the country. Read on for all the saucy details. The menu at Reservoir Tavern is as big as the boot of Italy, and the oversized portions will make you unfit for walking. But amidst the sprawling list of New England spins on Italian staples like Clams Casino and Lobster Milanese, there lies a selection of super-old pizzas with rare offerings like vodka sauce and sliced potatoes. The Naples immigrants behind Tommaso's lay claim to the title of first pizzeria on the West Coast. The name has changed since they passed the restaurant on to their head chef, but the original California pizza kitchen carries on the wood-fired pizza traditions that have earned it famous patrons like George Lucas and Robert Duvall. The fourth generation of the Sciortino family still runs this New Jersey legend, that is known for generous layers of sauce, high quality Wisconsin cheeses, and homemade meatballs. Which came first, the pizza or the slice? Patsy's will tell you it was the whole pie, until they invented the concept of single-slice sales. 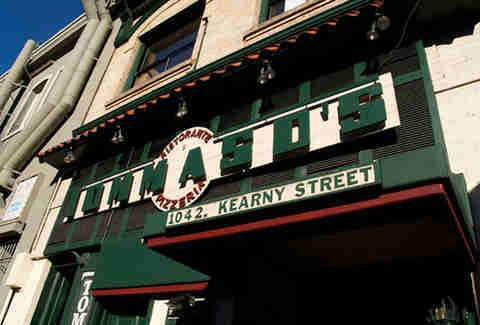 In addition to pioneering pie serving portions, the original Harlem location was known as a hangout for both mafiosi and boys in blue, so much so that it inspired the toilet assassination scene in The Godfather. Originally started as a bakery in 1903, Santarpio's took 30 years to transition into the world of savory pies, but they've never looked back. The original all-wood location of Santarpio's is decked out with historical photos of sporting greats and now sits underneath a massive billboard adorned with the smiling face of its owner. Despite a rep for an uncompromising attitude towards their food and an equally uncompromising waitstaff, Santarpio's is still dominating the "Best of Boston" awards for pizza, as well as cranking out top notch barbecued lamb. 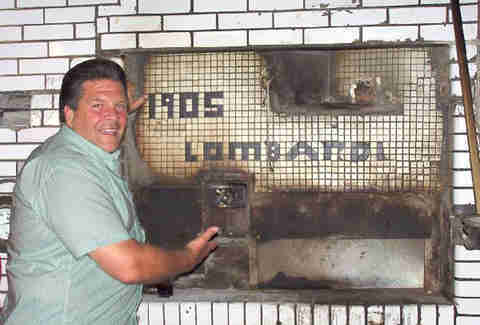 Endorsed by everyone from Regis Philbin to Vanilla Ice, and boasting recent patronage from Danny DeVito and Jon Stewart, John's coal-fired pies actually got their start on Sullivan Street before a lease dispute led them to dismantle the oven and move it a few blocks West. John has long since passed, but the thin and crispy crust lives on in his honor. 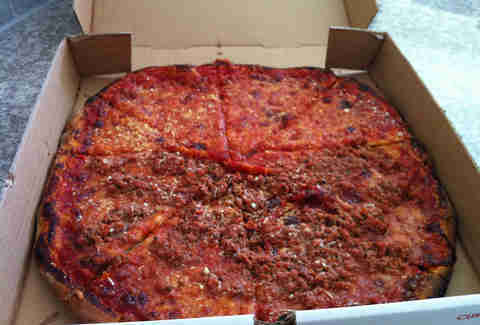 Started by an Italian immigrant who overcame illiteracy to become one of the pillars of the pizza world, this New Haven pie-slinger now has five locations across Connecticut and New York and is best known for their white pie topped with Rhode Island clams. 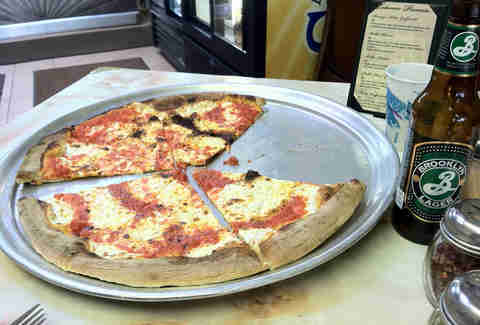 When the subway expanded service to Coney Island, an employee of the country's oldest pizzeria (wait for it...) jumped ship to open his own eponymous shop: Totonno's. 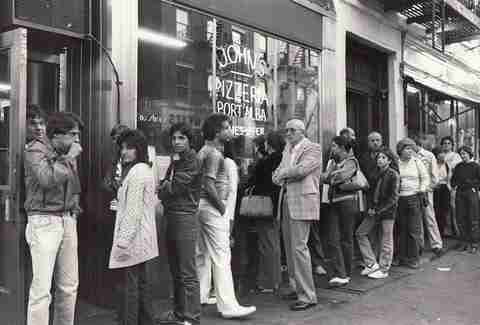 It's been patronized by everyone from presidents to punk rockers (the Ramones would reportedly order a pizza each). And while it recently weathered misfortunes like a massive fire in 2009 and Hurricane Sandy in 2012, it continues to serve some of the best pizza in the city. 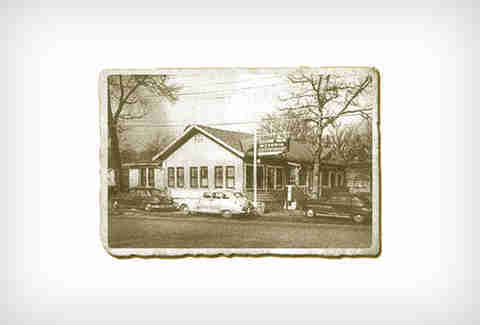 The father of New Jersey pizza, Papa T's lays claim to the longest continuously running, family-owned pizzeria. 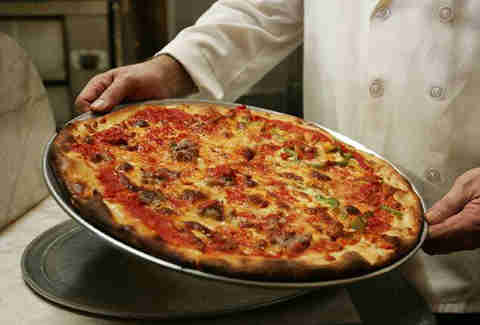 They take pride in a regional style known as tomato pie, with thin crust and cheese underneath the sauce. 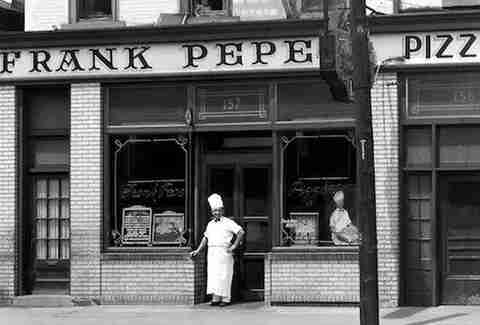 That term was eventually retired in favor of pizza because sign-makers reportedly charged by the letter, and Papa wanted to save some dough. PTP also offers a unique mustard pie, with the sometimes offensive condiment baked right into the crust. 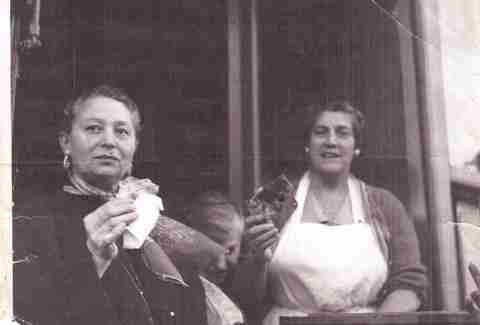 It began as a humble little grocery store on the corner of Mott and Spring Streets in 1897, and forever changed the course of food history. If it weren't for Gennaro Lombardi's decision to pivot to pizza in 1905, there would be no ninja turtles, Pizza Underground, or jobs for thousands of delivery drivers. It moved down the block in 1984, but still uses the same type of coal-burning oven to create crusts with a blackened bottom and yeasty interior that are topped with San Marzano sauce that's made using fresh basil. 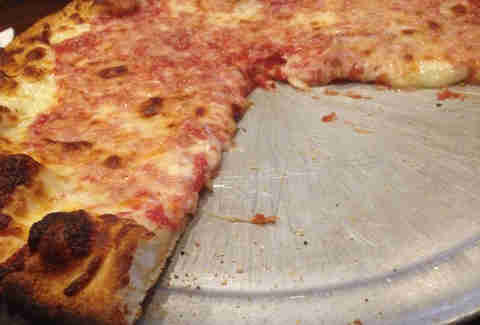 They refuse to sell slices, but with that much history, you'll want to save some for later. Dan Gentile is a staff writer on Thrillist's national food and drink team. He enjoys pizza in the morning, evening, and at suppertime regardless of whether it's on a bagel. Follow him at @Dannosphere.